Prizes have a long history of its development, but, nevertheless, still have not lost their relevance, most have become even more popular in today's society. Mankind is largely driven not just thirst for activity, but the desire to conquer new heights and surpass rivals. Through this we aim to take part in various competitions, contests and other activities that incite our passion and thirst for victory. The logical conclusion of each event is the awards ceremony. 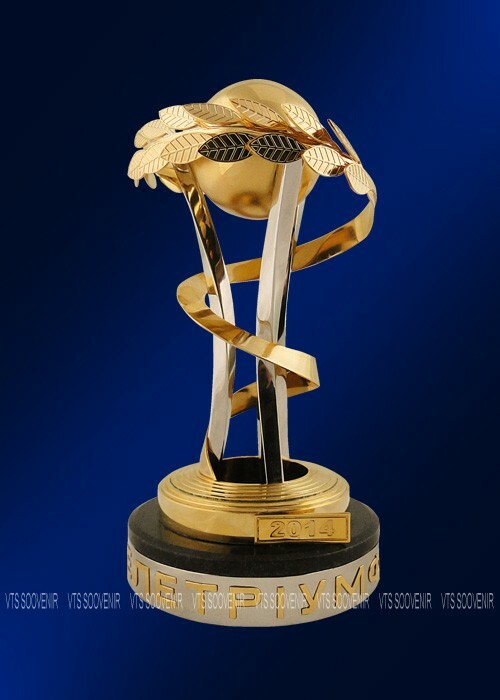 These awards identify the essence of victory and seek to preserve the memory of the moment of triumphant winner. Therefore, the prizes for the competition are chosen very carefully, so that the product is fully consistent with its intended purpose. However, to pick up the prize to the winner of the competition is not so easy, but even if you can not select the appropriate artifact, you can always count on being able to book awards on an individual layout, which largely facilitates the task set before the manufacturer. 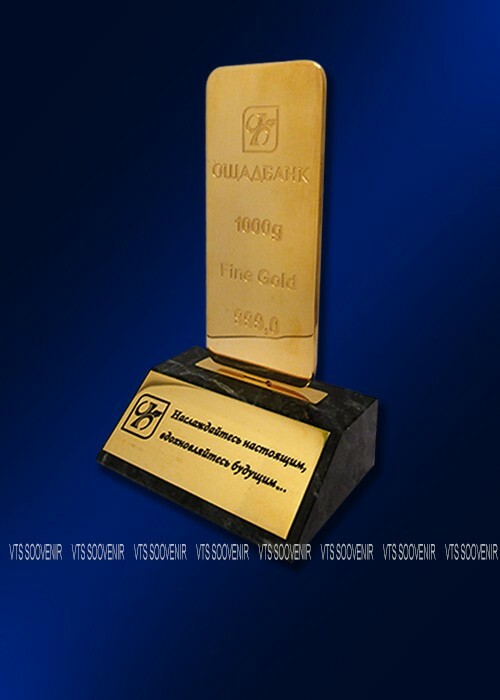 The process of custom-made awards and prizes consists of several important steps mandatory. First experienced designers made ​​a sketch of the future product, taking into account all the wishes of the customer. Based on it created a detailed drawing, according to which will be made ​​next prize. In the production of premium products using the latest technologies and equipment, so that production is carried out the prizes with the best combination of time and materials. To achieve the desired results using techniques such as casting, milling, laser engraving, and many others. Each product after the main stage of production takes place subsequent manual processing, during which experts eliminate all errors, thereby giving the prize of the perfect form and perfect appearance. As a decorative coating is common to use a galvanic nickel or gold, and coloring products is carried out by means of special color enamels and varnishes. Ultimately, the customer gets a good prize of the highest quality. The products can be created from a variety of materials such as plastic, acrylic, crystal, glass and metal. From the starting material depends largely on the product price as well as the time required for its manufacture. The most prestigious and expensive prizes are considered metal that look very presentable and impressive. This trend is due not only to their external attractiveness, but also labor-intensive production. Besides metal prizes and gifts are the most durable. It must be admitted that the sport has a significant place in our lives, and therefore, are very popular sports prizes, which range now very wide and varied. Even in the times of chivalry prizes for the tournament were awarded in the form of refined character victory - Cup Winner of the tasted wine as a reward for his triumphant win. To date, sports prizes may be in the form of various cups and themed figurines relating to all kinds of sports. Prize winner of the competition decided to hand publicly at the ceremony, so the award is given to only the best prizes. As you know, as a reward prizes used in other aspects of social life. Good prizes for film festivals are the statues, the most famous and popular of which are considered the "Oscar" and "Nick". Due to their fame and prestige customers often bought these figurines as gifts or souvenirs. Unfortunately, in today's society can not escape from the ordinary everyday work. But competent organization working leisure not only to defuse tension in the team, but also to unite it, as well as improve employee productivity. In this regard, the recent increase in orders of prizes for the competitions, which take place in a corporate environment. It is known that the spirit of healthy competition encourages employees to achieve a better result. A secure victory for the most worthy participant by using the appropriate awards. The employer is seeking to acquire for their staff decent prizes for the tournament or competition that the award winner reminded of his achievements and aroused colleagues striving to achieve the same success. Souvenir market and premium products are actively growing and developing, so it is now possible to buy prizes anywhere in the country or order prizes with delivery to any city. 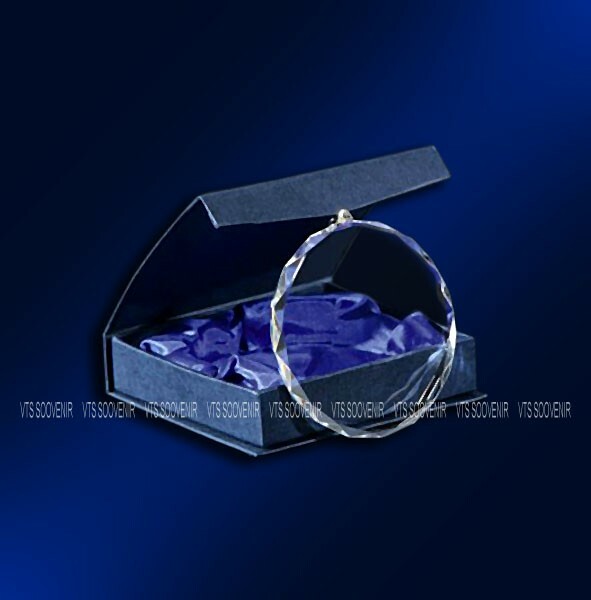 The company "MTC Souvenir" is involved in both the sale and manufacture of prizes and gifts, which can be ordered by contacting the managers of the company.